In 2017/2018, they made it to the second round of the playoffs but lost to the Las Vegas Golden Nights in six games. This Bay Area NHL hockey team plays all of their games just over an hour south of San Francisco at the SAP Center in San Jose. It's easy to get to by car, Caltrain, or local public transit light rail trains and buses. There are a few places to find tickets to the games. Here are my recommendations. 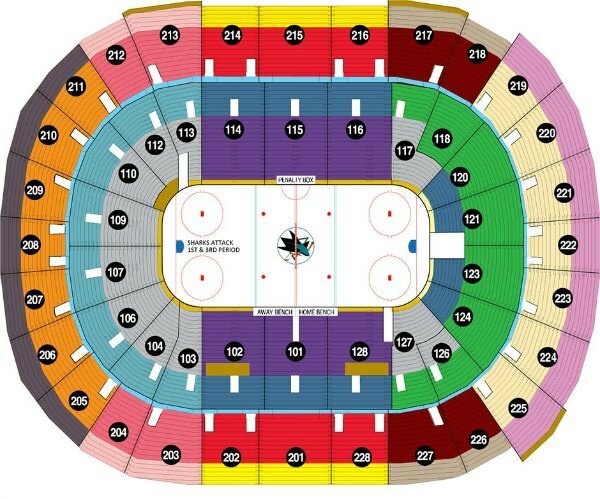 The official ticket site for the San Jose Sharks is Ticketmaster. This is where you will find tickets to all of their games. Click here to check availability. At times, you will also find discounted tickets to the games. You will find them at up to 50% off on Goldstar. Check availability here. My final recommendation is to check out TicketLiquidator. This is where you will find people that want to resell their tickets. It's a great place to get seats to sold out games or find seats closer to the ice than what's available at the two options above. Click here for availability for all games. If you plan to stay in the area before or after the game, you will find a variety of great hotels near the SAP Center in San Jose. Many of them are located in downtown San Jose, which is just to the east of the stadium. Hyatt Place Downtown San Jose: 3.5-Star, 282 Almaden Blvd. Hilton San Jose: 3.5-Star, 300 S. Almaden Blvd. To find the best deals, head to TripAdvisor.com. You can find some great discounts on your room or other amenities. Click here to learn more! You can either drive or take public transit to the San Jose Sharks games. I always recommend public transit (if possible) as traffic is heavy all around the Bay Area. However, below you will find recommendations for both options. The SAP Center is easy to access from both Hwy 87 and Interstate 280. You will find plenty of parking to the west (these are the closest), south, and southeast of the stadium. Note: Most games start shortly after rush hour. If you plan to drive, make sure to leave well before the game to allow for the heavy traffic you will face on your way to the SAP Center. If you are coming from San Francisco or anywhere in the Peninsula, then Caltrain is your best bet. The Diridon station is just across the street from the stadium. The last train departs at 10:30pm (or 15 minutes after the game, but no later than 10:45pm). This should give you plenty of time to catch one of the final trains home. You can also take the local VTA light rail or bus service. If you plan to stay in downtown San Jose, you will find it's an easy walk over to the stadium. When the San Jose Sharks were founded in 1991, they broke a 15-year period where there was no professional hockey in the Bay Area, since the California Golden Seals had relocated to Cleveland in 1976. The first couple of years were rough, setting an NHL record of losses, but the team soon started making it to the playoffs. The Sharks have yet to win a Stanley cup, but they have won one Conference Championship and one Presidents' Trophy. The team has contributed four players to the Hall of Fame over the years: Ed Belfour, Rob Blake, Igor Larionov, and Sergei Makarov. The Sharks are said to have gotten their name from the large population of sharks that live off the coast of the SF Bay Area, and also because the animal is known to be swift, agile, fearless, and determined. Sharks fans love games at the SAP Center (a.k.a. the Shark Tank), where the tradition before every game is to lower a 17-foot open shark mouth from the rafters, with flashing red eyes, from which the team emerges to make their entrance on the ice. Golden State Warriors: The Golden State Warriors play during the same season as the San Jose Sharks. They play from October to April about an hour north of the SAP Center at the Oracle Arena in Oakland. Click here to check out their schedule for this year. SF 49ers: The SF 49ers play just a few minutes north of San Jose in Santa Clara. You can catch one of their games during their regular season from August to January. Click here for more details. SF Giants: The Giants are one of two professional baseball teams in the Bay Area. They play from April to October at Oracle Park (formerly AT&T Park) in San Francisco. Click here to learn more. Oakland A's: The A's are the other Bay Area baseball team. They play at the Oakland Coliseum about an hour north of San Jose and about 20 minutes from SF. Click here for details about their schedule. 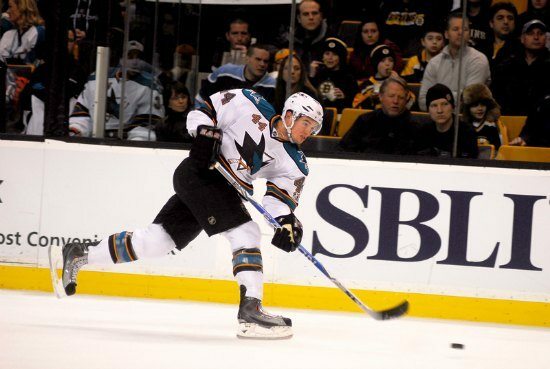 Other Sports Teams: In addition to the San Jose Sharks schedule, you will find information and calendars for all of the SF Bay Area sports teams here.